In a previous blog post I laid out my reasons for why I do not believe dyslexia is a gift. In that blog post I specifically stated that many students with dyslexia will be successful because of their resilience and because of the support they received, while pointing out that many many kids don’t have that support, which was, and is, my main point. Many people chose to ignore that sentence and instead respond to something I did not say, which is that kids with dyslexia will never amount to anything. But for the most part, you all agreed with me, at least to a degree. So, as I started to really reflect and read and reread all of the responses, it got me thinking about resilience and support. Then it dawned on me that there was one important point I did not make and that is to describe a situation when dyslexia is a gift. Is this a public shaming of the teachers who wrote these responses? No, but it is a public shaming of those who train our fabulous teachers. This includes our universities, curriculum developers and yes, even Orton-Gillingham trainers. Now, back to the topic at hand. I have heard some trainers state that they did not think those who use their program can handle that kind of terminology, so they purposely leave out appropriate linguistic terminology. I have also heard multiple teachers state that students cannot handle that kind of terminology. This irks me the most, because I was a victim of this practice and when I was finally introduced to the truth about the English writing system I was brought to tears. I was brought to tears because I felt like I had been robbed, robbed of understanding my own language and robbed of being able to properly teach it to my students. And as I dug deeper, I realized that those questions above were just the tip of the iceberg, grammar was also sorely missing from my training. I would like now add to those questions: What is an inflectional suffix and a derivational suffix and how do they impact reading and spelling? Quite frankly, until educators, at all levels, can answer those questions, we are cheating our students, all of our students. Think about this, what is one of the main predictors of student success? 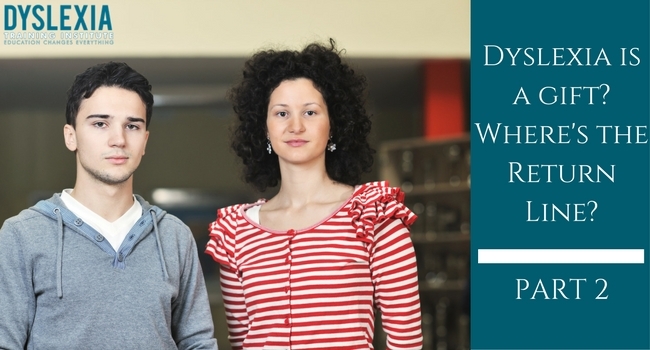 High expectations from teachers, and not just for kids with dyslexia. Our professors need to expect our teachers to understand these concepts and our teachers need to expect our students to understand these concepts, because they are all capable of it. What could be worse for a struggling student than having a teacher who can’t answer their questions about English? Knowing this information would be productive across the entire curriculum, not just reading and spelling and not just kids with dyslexia. That is why the dyslexia is a gift construct falls apart, it’s not the student’s fault, it’s our fault. 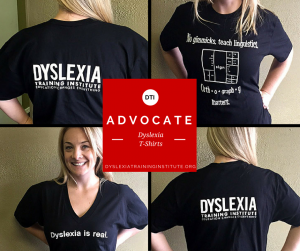 How do we give this gift of dyslexia back to those with dyslexia? 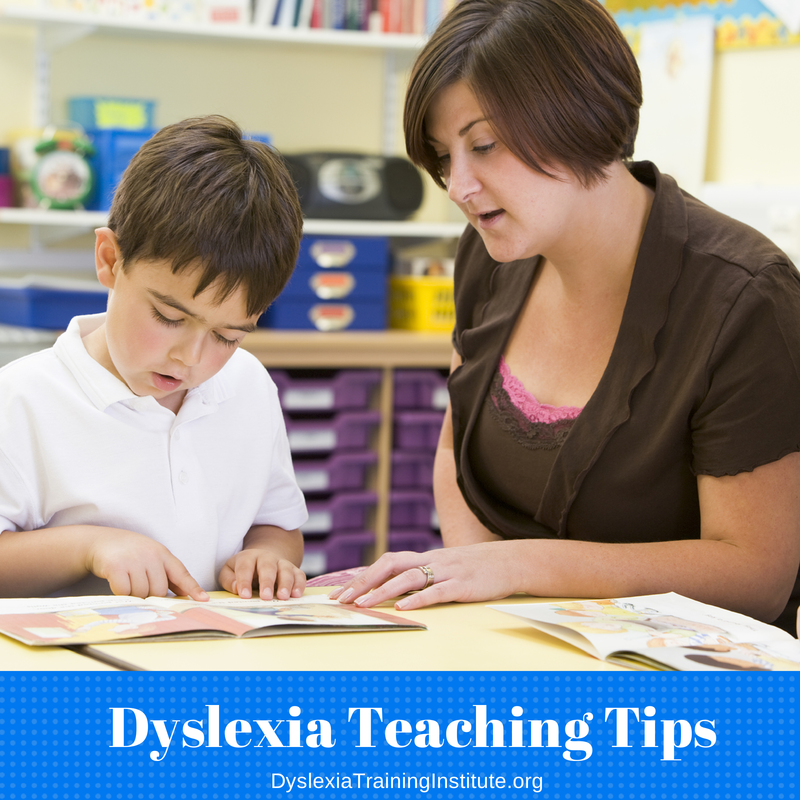 We teach our teachers how the English writing system actually works and give them the understanding they need to answer tough questions about words and then guess what, dyslexia just might become a gift and it would be a gift for all kids with dyslexia. This entry was posted in Dyslexia, Orthography on May 30, 2017 by Dr. Kelli Sandman-Hurley. The idea that those that teach literacy to any group should have a foundationally valid understanding of their orthography system should be a 100% non-controversial assertion. And this should be seen as especially true for those that teach those who struggle as dyslexics, or for any reason. And yet there is so little literacy research, (remedial or otherwise), teacher training, resources, programs etc… that result in teachers understanding and teaching English orthography as linguists have long understood it — a well-organized, reliable system that evolved to represent the sense and meaning of a language to those who already know and speak that language. Here are just two quotes from Richard Venezky, a major figure in orthographic linguistics who is cited all the time in the research even though the key meaning is not reflected in that work. “…the simple fact is that the present orthography system is not merely a letter-to-sound system riddled with imperfections, but, instead, a more complex and more regular relationship wherein phoneme and morpheme share leading roles” (Venezky, 1967, p. 77). I know of no serious argument with either of these assertions, and yet, it is clear that very few educators have an understanding of these basic facts about their writing system. Instead students who receive standard classroom instruction, or expensive remedial instruction based on all sorts of peer reviewed research leaves the vast majority of teachers and students with the assumption that English spelling is mainly about representing the sounds of words, and that it has many words that are irregular “sight words” that just have to be memorized. Shouldn’t this be seen as a crisis of instruction and research? Most educators and students end up with the exact misunderstanding of how English spelling works that one of the most high profile linguists in education debunked in 1967. I am not suggesting that all will be rosy for everyone if the education system suddenly presented a linguistically accurate representation of our writing system as one that represents an interrelation of influences of morphology, etymology and phonology. But it strikes me that ensuring that our instruction accurately reflects the content of instruction is a FIRST step to seeing whatever else might be needed. While the research looking into these kinds of questions is relatively early, all the findings we have support the idea that — the more instruction represents the writing system, the more effective children learn it. Addressing relationships between phonology and sub-lexical orthographic patterns was more effective than instruction that was less explicit about these patterns. All the morphological meta analyses we have corroborates the finding that morphological instruction not only helped learners in general, but — counter to decades of untested assumptions in the literature — the less able and younger students gain the most by drawing attention to morphological structures and relationships in the oral and written word. And this brings me to the “gift” bit you got back to at the end. It seems to me that dyslexics have been trying to shout at us with a megaphone for ages to tell us — what you are doing is not working. Try something else! The fact that a common characteristic of dyslexics is a phonological processing deficit should be taken as a signal that perhaps instruction that targets structures and consistencies in the orthography system that are not specifically tied to their processing weakness would be a good place to start looking. And if we started looking to linguists like Venezky, Carol Chomsky and other we would have been able to start testing the effect of instruction which represents the system they described to us so clearly. You are right, dyslexics have been trying to offer us a gift for ages now. They’ve been their falsifying our assumptions about the wisdom of teaching English spelling system as though it is essentially a sound representation system. When we finally listen, and start to change our assumptions and practices, not only will they benefit enormously, but so will the non-dyslexics out there. And finally, if we get to a place in which the context in which word-level literacy instruction is basically about investigating how the written word works — more and more dyslexics in that context may just start to reveal to us the types of gifts dyslexia itself may have for them. 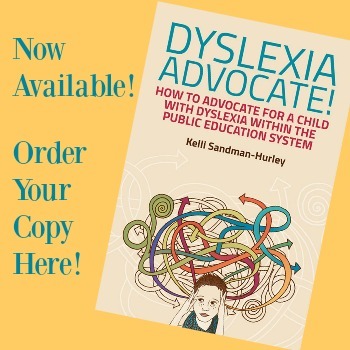 How much of the heartache and suffering you describe of dyslexics and their families is the result of the fact that dyslexics may just have a serious interaction with misconstruction of how their writing system works. Once we take away that interaction, maybe we’ll get to see the gifts of the dyslexic mind. Dyslexia is not a gift but what’s worst is when our entire educational system determines and makes the parent feel that a contained classroom shared with emotional and behavioral students is the answer. At this point the gift becomes a festering disease and the children then grows up with resentment along with a lack of education because he/she hasn’t been taught. Our teachers have become the escape just as the parents has when we all know the system continues to be broken. The gift happened when money is involved and the child can be hidden in private schools or the parents have the means to afford hours upon hours of private tutoring. The disease is when our public sector kidsa are left out and are reduced to dishwashers because that’s all our counselors have advised they can do. How can our children be great when faced with an uphill battle brought on by lack of training and lack of care. The gift that keeps on giving.